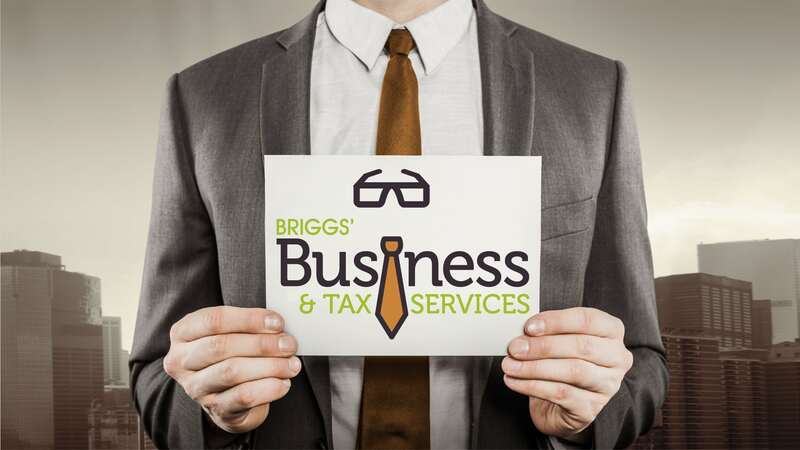 Briggs provides a suite of services to their clients including tax preparation, bookkeeping, QuickBooks support and business consulting services. Located in St. George, they were looking for a brand that stood out among the CPA crowd. Tenth Muse assisted them with a complete company rebrand, brand implementation and the development of their new website. With the brand, Tenth Muse started by identifying the brand cornerstones and strategy, developed their logo and implemented the brand across several traditional and digital mediums. 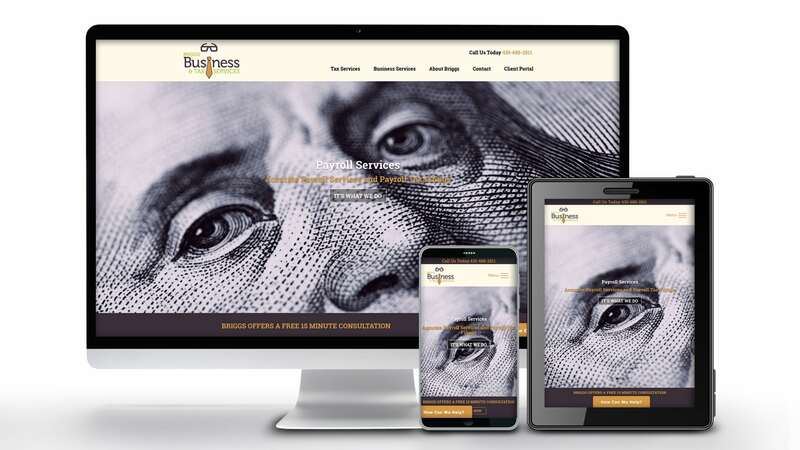 Once the brand was fully established, Tenth Muse assisted Briggs with the design and development of their new website by developing the on-page SEO strategy, copywriting, website design and custom website development. This custom website has completely built out owner modules that allow Briggs to modify content with a click of a button. The website allows customers to schedule appointments, pass confidential documents, make payments and links all customer data into their CMS. 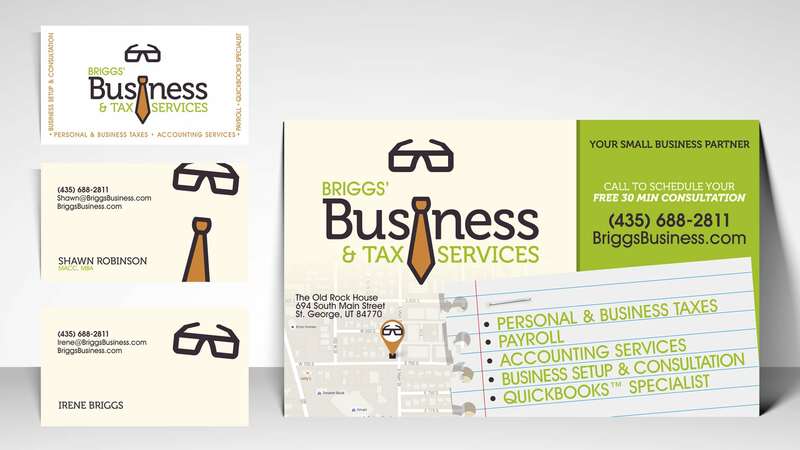 “In just this past year, Tenth Muse Design has created a variety of design work and put together some very effective campaigns for our company, Briggs Business and Tax Service. I was originally introduced to them through a BNI networking group and have found their services to be more than I was hoping for. The results have been 10-fold my investment and those kind of stats any business would be ecstatic with. Their marketing techniques have consistently driven business to us through innovative thinking and persistent operations. Starting with designing our logo, producing a website and web presence and an additional Facebook page, they’ve really showcased our company. Even setting up a Facebook and email campaign regularly keeps us updated with the services we offer our clients.